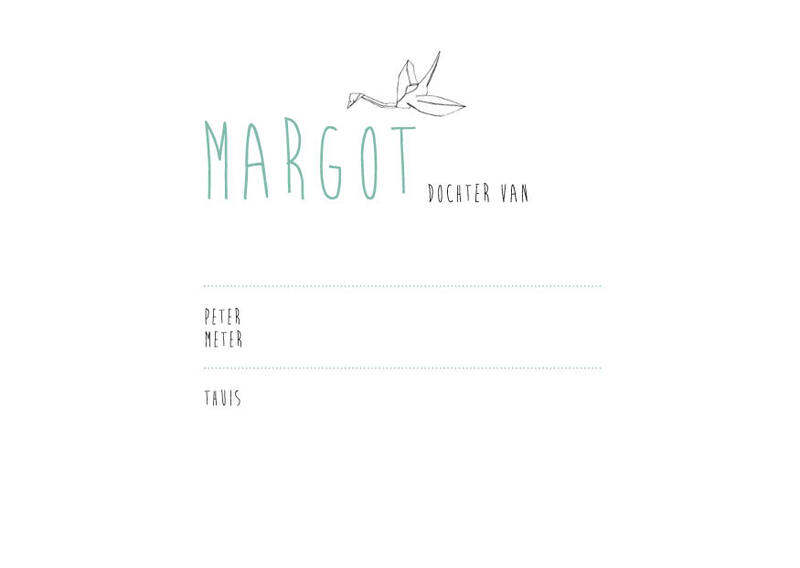 i designed two birth announcements, for two adorable little girls. 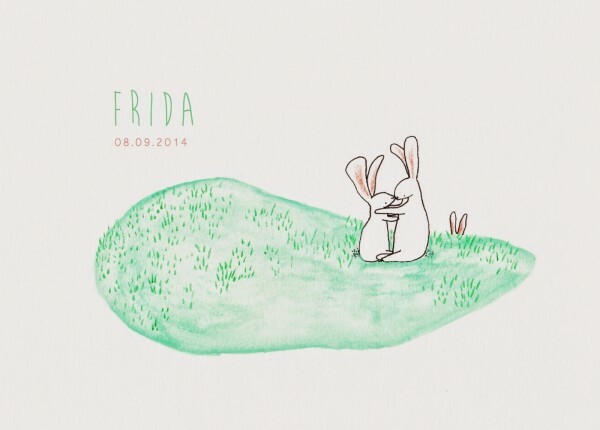 Frida’s mom and dad are fond of little rabbits with funny ears. 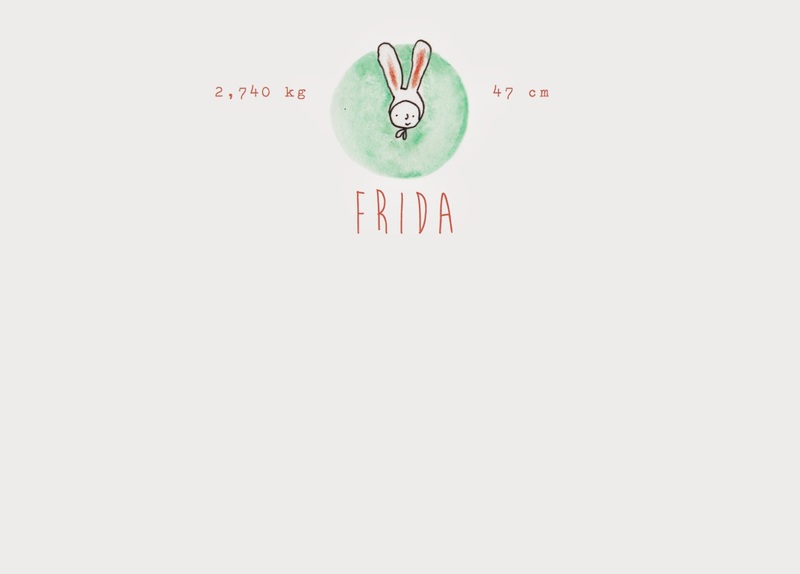 For the ‘thank you’ note, they even made a photo of Frida, wearing a warm hat with ears herself. I loved the whole concept. 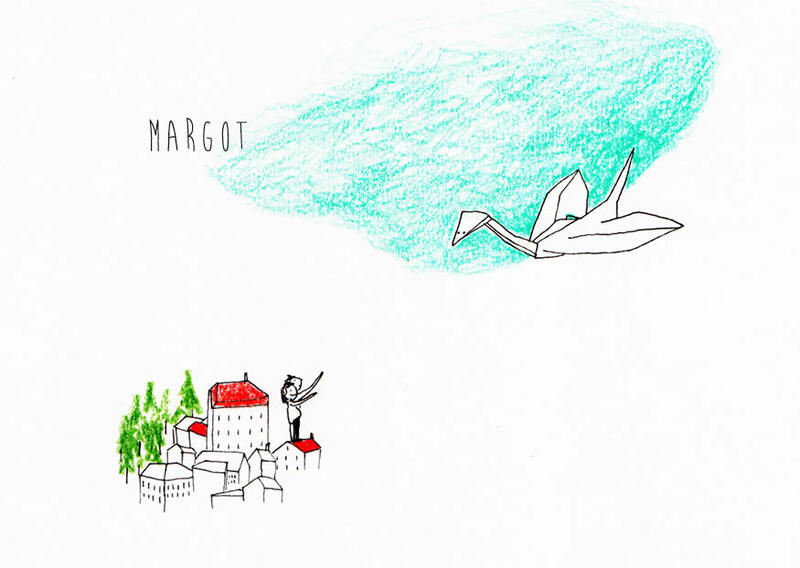 For Margot (who’s also my sweet godchild) i practiced drawing origami cranes. a lot of cranes. it wasn’t easy to get the color right, but i’m satisfied with the result (and fortunately, the parents too).